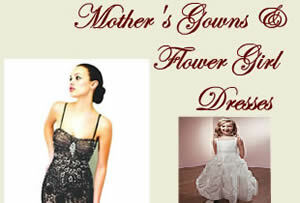 Hundreds of gowns in all sizes for brides, bridesmaids, flower girls, and moms. David Abadi, owner of Brides of America Miami and Brides of America Online Store has been helping brides nationwide from Miami since 1984, but his family has been in this business for 45 years! His mother started out making dresses as a hobby, but her skill and passion turned that hobby into a successful business. David remembers falling in love with the business as early as the age of 5 when he would help his mother around the shop. Brides of America's goal is to offer the best wedding dresses in Miami as well as online, along with the other fashions and accessories to go along with every bride's special day. Along with those high-quality items, the other important thing to us is customer service. We want each and every person that shops with us to enjoy the entire experience and feel like they are our most important customer. The reason that those goals are achieved is due to our owner, David Abadi. His attention to every single detail about the store and the products in it sets Brides of America apart from all of the others. He makes sure that the store is always immaculate and every dress and accessory has a special spot where it belongs. In David's own words, "I can say that I am very picky, sometimes too picky. I am a perfectionist." You want nothing less than perfection when searching for the gown you will be married in. The dress should not be the only focus. The entire gown search should be a special experience. 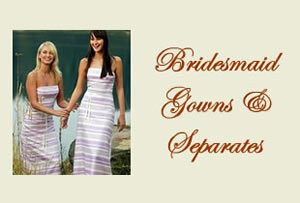 At Brides of America, customers are totally spoiled by David and the entire staff. This is by no means just to make a sale. "I have a blast helping them and I totally love making brides happy," says David. "I think the reason we have an amazing store and that brides love my service is because I LOVE what I do. This is my passion." This is an appointment-only store, allowing us to truly give one bride at a time our complete and full attention. Many years ago Brides of America was open to the public without an appointment, but David felt that something was missing. The experience just didn't seem special enough for his brides. A good friend of his, Bailey Judith Rieglhaupt, owned "The Bridal Secret" bridal shop in Quincy, MA. She taught David how to turn his store into the appointment-only one that it is to this day. It was a scary transition, but Bailey made it work so well, David knew it was a safe bet. He said, "I can say that making an appointment-only store was the best decision I ever made in this business. My customers love it and I can dedicate 100% of the appointment to them." All of the divisions of the Mori Lee Bridal brand are carried here. They have been in this business for over 60 years. The dresses are expertly made, and the prices range from moderate to couture. Brides adore both the quality and design of these unique dresses. Your wedding day should be one of the most special of your entire life. It is important to find things for it that fit perfectly into telling the story of you and your fiance's love. Reading reviews for all services, not just the bridal gown, is a wonderful way to know what to expect. The wonderful quality and service provided by Brides of America has graced us with many amazing reviews from happy customers. Our reviews can be seen at Wedding Wire and The Knot, and also on Brides of America's website. When you are ready to start shopping for your own wedding, start with us. You can shedule an appointment in Miami through our web page. If that is too far for you to travel, you can buy your dream wedding dress online through us, and a bridal consultant will contact you after you order to confirm the details, giving you our very special customer service wherever you may be. With his exceptional eye for fashion, David chooses extensive selections of gowns from moderate to upscale to suit the entire wedding party. Brides are accepted at the Miami location by appointment only, NO walk-ins. David takes the time to meet with each bride without the distraction of other shoppers. He dedicates your appointment time solely to you and uses it to totally spoil all of his brides. Winner of Wedding Wire Brides Choice Award 2009, 2010, 2011, 2012, 2013, 2014 and 2015. Ask your consultant about our free layaway. For your convenience, we also accept Visa, Mastercard, American Express, and Discover.